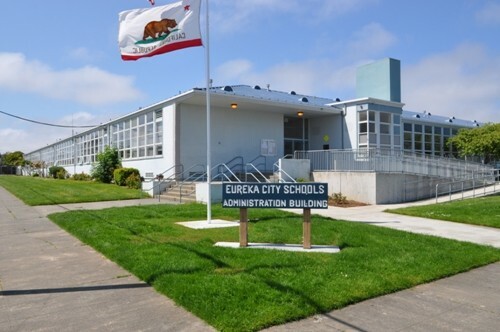 The Cutten School District has agreed to pay Eureka City Schools $260,000 to avoid a potential lawsuit over failing to report all interdistrict transfers for several years, according to a settlement announced by ECS today. An estimated 25 percent of Cutten students — and 74 percent of that district’s interdistrict transfers — come from ECS, which is supposed to be notified. “I am pleased they recognized the situation as serious and worked with us to allow the continuous placement of students already attending a Cutten school,” ECS Superintendent Fred Van Vleck says in the release. The issue erupted to the surface back in February when Van Vleck proposed limiting the number of interdistrict transfers a district could accept — with several exceptions — when the longstanding agreement between Humboldt County’s 30-odd districts came up for renewal. One of the major concerns was the amount of Average Daily Attendance dollars that were flowing out to other districts along with the ECS students. From transfers alone — not counting the students who choose to attend private or charter schools — the ECS shortfall was coming in at an estimated $6.4 million a year, or $8,000 per student. Of that, the 180 Cutten School and Ridgewood School transfers accounted for some $1.4 million based on enrollment figures presented during a January meeting of Cutten trustees. The ECS board did end up agreeing to keep the status quo on transfers through the 2017-2018 school year, except for students attending Cutten schools, although that has since been extended to them as well. 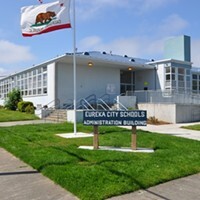 The settlement, which is effective today, was mediated by former Humboldt County Superintendent of Schools Garry Eagles. Other than the one-time payment, Cutten also agrees not to build new classroom to increase enrollment or to advertise for new students and to institute staff training on interdistrict transfers.